Free Trial and Consultation - Online E-commerce Web Site Store Builder for $19.95/month with Live Support. - InstantEcom. 1. Check the Knowledge Base. 2. Call 512-942-7738 with questions. 3. For technical problems, open a support ticket. 4. For billing call 866-903-3663. As astonishing as this sounds, in less than 5 minutes you can have a website for your business live on the internet. The amazing InstantEcom technology enables you to quickly build your own professional website, complete with email, pictures, newsletters and much, much more in just a few short minutes. Click here to try InstantEcom now free for 10-days. Are you looking to improve your search engine rankings? Check out our NEW SEO information page! No programming and design skills required! All InstantEcom hosting customers will also receive discounted merchant accounts from Millenium Bankcard that includes free setup on Authorize.net gateway accounts. (note: some restrictions apply). Try InstantEcom website builder now free for 10-days and see how easy it is to get your business online today! Get over $450 of bonus marketing tools when you sign up with InstantEcom. 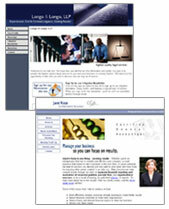 Market your website with ease!